Lumkani seeks to address the challenge of fires in urban informal settlements & townships in South Africa and across the globe. We use innovative early-warning systems together with low-cost inclusive insurance products to provide safety and financial security to our clients. Fires destroy homes, belongings and businesses which leads to personal and financial insecurity. We provide Fire Cover and Funeral & Fire Cover for informal homes, small homes, RDPs and small businesses. To protect your home, business and your family, our cover comes with a fire alarm that warns you when fire breaks out. Your family, your home and your life are your most valuable possessions - and you would do anything to protect them. Your business is your livelihood and allows you to live and thrive. Whether you are a small or large employer, the personal and financial well-being of your employees is paramount to ensure the safety of their homes and families. Cover for your home or business structure and all of your belongings/stock for up to R40,000. A Lumkani Fire Alarm that warns you when fire breaks out. There is no waiting period, you are covered immediately after your first payment. "My entire house burnt down. Lumkani paid out in full"
"My home was partially burnt after I forgot the candle burning. Lumkani was a great assistance to me"
"My belongings were damaged by a neighbouring fire. Lumkani speedily paid out my claim"
Our Fire Cover is underwritten by The Hollard Insurance Co. Ltd (Reg. No. 1952/003004/06), an authorised Financial Services Provider. Family Funeral Cover for you, your spouse and up to five of your children. Fire Cover for your home or business structure and all of your belongings/stock for up to R40,000. 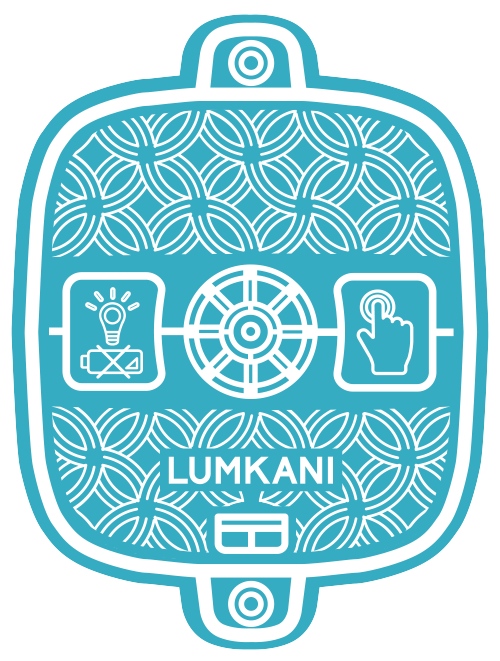 Lumkani is a technology company which distributes insurance products to financially excluded households and businesses in townships and informal settlements. We use our award-winning fire detectors to mitigate the risk of fires and a world-first insurance product to process claims when disasters occur. We have distributed tens of thousands of fire alarms to homes across South Africa which have drastically lowered the instances of fires in our communities, ensuring that those who are most vulnerable are instilled with a sense of security. Tens of millions of Rands of damage have been mitigated through our early warning fire detectors. Lumkani implements large scale roll-outs of our fire detection system in order to create the social impact at the core of our mission. For more information on this click here. 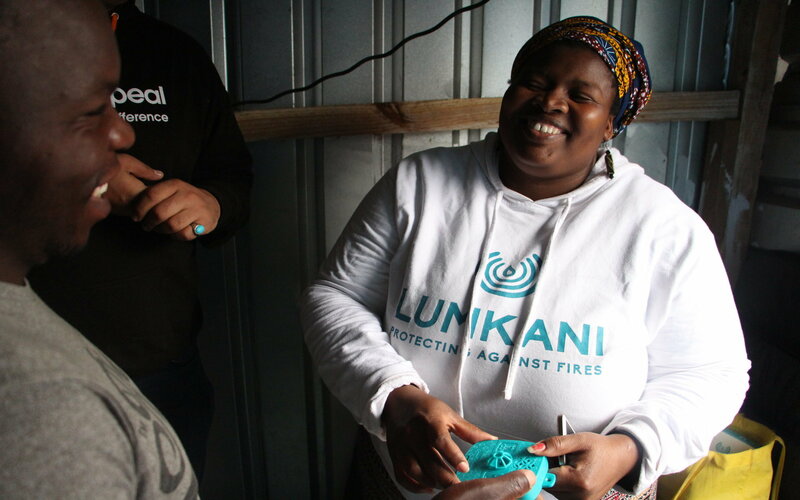 Before Lumkani introduced Fire Cover in 2016, there was little hope for households and businesses, excluded from insurance cover, to quickly rebuild, refurnish and return to a state of dignity. As part of Lumkani’s mission to mitigate the loss of life and property caused by fires in South Africa and across the globe, we implement large scale roll-outs of our fire detection system into urban informal settlements and slums. For more information on our system and its past success, please see our company profile. Contact us here for more information on funding these projects. Many cooking, lighting and heating methods used by people living in informal settlements produce smoke. For this reason Lumkani detectors use rate-of-rise of temperature technology to accurately measure the incidence of dangerous fires and limit the occurrence of false alarms. Density is a challenge all urban informal settlements share and is a major risk factor that enables the rapid spread of fires. In order to provide sufficient early-warning, a communal alert is required. Our detectors are networked within a 60-metre radius so that in the event of a fire all detectors in this range will ring together, enabling a community-wide response to the danger. This buys time for communities to become proactive in rapidly spreading fire situations. We have developed smart centralised gateways, which gather information about the detector mesh network. These gateways constantly check the health of the system and in the event of fire, send text-message warnings to members of the affected community, as well as storing critical information about the exact location of the fire. All of the above data is viewable on Lumkani’s WatchTower platform - used for monitoring our early warning systems around the world. Through our early warning systems in many of the highest fire-risk slums in South Africa and Bangladesh, we have seen first-hand the impact that this simple intervention has in preventing devastation in the most vulnerable communities on the planet. Your application will take 2 minutes to complete. A short online form will open after you submit your details below.